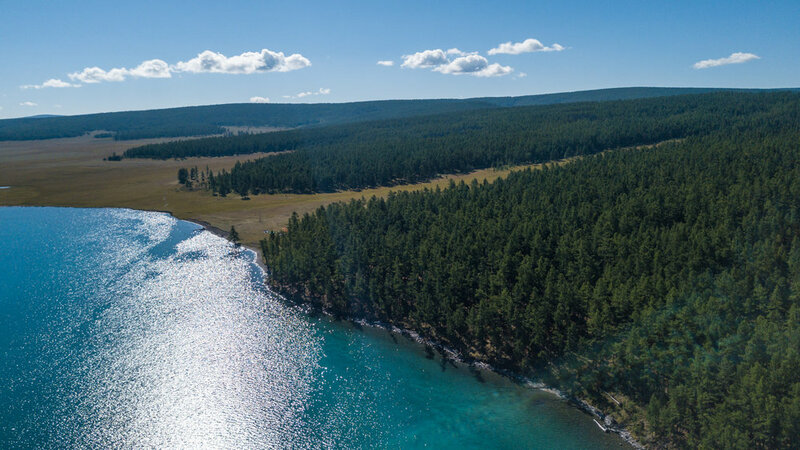 Known as the Blue Pearl of the Mongolia, the Khuvsgul Lake tour is probably the most breathtaking and diversified tour in terms of landscapes and distances you will have to cover. You can have a look at this tour in our new video! It is by far the furthest and most challenging tour we offer, hence its only suitable for intermediate/pro level riders, who can manage riding long distances each day (200-350km off-road). The lake itself is located in the northwest of Mongolia, at the foot of the eastern Sayan Mountains. It is 1,645m above sea level, 136 km long and 262m deep. It is the second-most voluminous freshwater lake in Asia and holds almost 70% of Mongolia’s fresh water. The lake is surrounded by several mountain ranges. The highest mountain is the Burenkhaan/ Munkh Saridag (3,492 m). As you can imagine, the surrounding area is full with diverse flora and fauna. In fact, you will see one of the nicest sceneries and landscapes Mongolia has to offer. The area is home to the famous argali sheep, ibex, bear, sable, moose and wolves. The region hosts three separate, unique tribes: Darkhad, Buriat and Tsaatan, the only tribe in the world that still rides on reindeers. Shamanism, rather than Buddhism, is the religion of choice in this part of Mongolia, we will visit different sites so you understand their way of living. We will pick you up from the airport and take you to Viva Hotel (unless you have reserved a different hotel during the booking process), which is located right next to our Husqvarna showroom. You will meet with our entire team later in the afternoon to receive your equipment, followed by a thorough safety briefing, as well as a 1-2 hour test ride to get used to your bike and gear. Welcome dinner will be hosted by our team in Ulaanbaatar. We will start riding towards Khuvsgul. You will get a glimpse of what its like to ride enduro bike in the endless Mongolian steppe. We will pass by Khustai National Park, the place where successful reintroduction Przewalski's horse happened. Our first stop will be at the Elsen Tasarkhai sand dunes, of course you can go straight in riding them if you still have the energy. 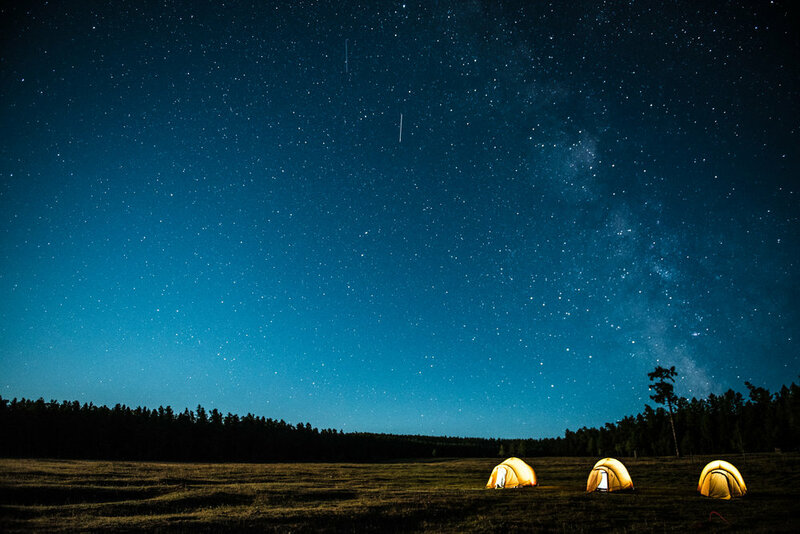 We will sleep in our tents, right next to the dunes, the first bonfire is waiting for you. During the morning we will have some more time to enjoy riding in the sand dunes. 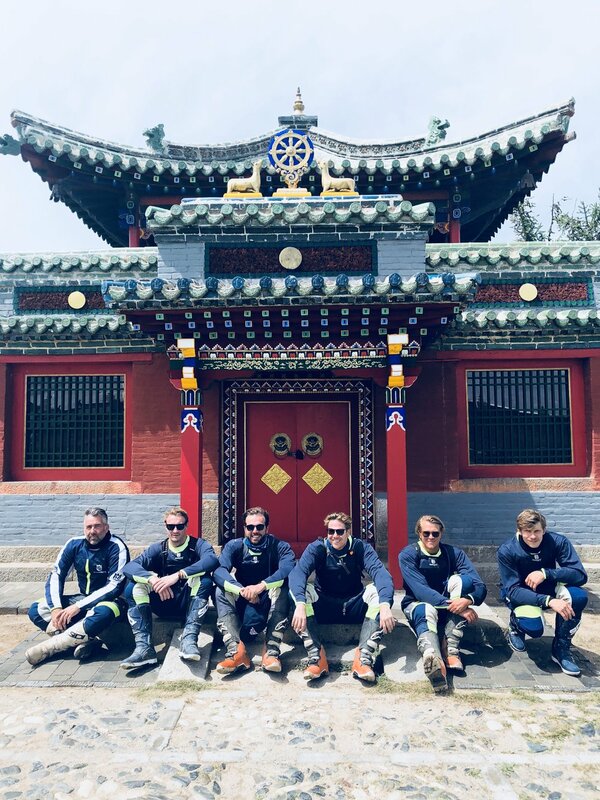 Once we continue our way, we will stop by Khar-Khorum, the ancient capital of the Mongol empire, where we will pay a visit to the biggest and oldest buddist monastery of Mongolia: Erdene Zuu. Going further, the Orkhon valley landscape will blow your mind. We will reach the Khangai resort ger camp and will round up the evening by relaxing in the +60°C hot springthermal water. One of the most beautiful parts of the tour as you will pass by the breath taking Chuluut river canyon and the ancient volcano called Khorgo. 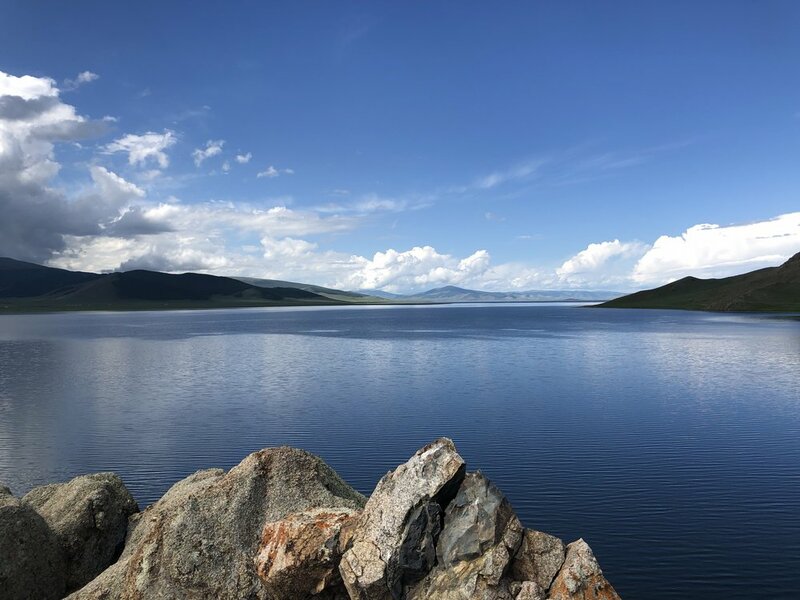 Our destination is on the shore of the beautiful lake Terkh, also called White Lake, where we will enjoy the service of Maikhan Tolgoi tour camp, its one of the nicest camps in entire Mongolia. If you like fishing, now is the time! Ride through the endless grasslands, rocky mountains and rivers to our next ger camp, Dalai Van, next to Zuun Nuur. The scenery is simply beautiful, you are surrounded by mountains and trees. You will definitely enjoy the remoteness of this area. We will approach the highlight of the trip – the Khuvsgul Lake. 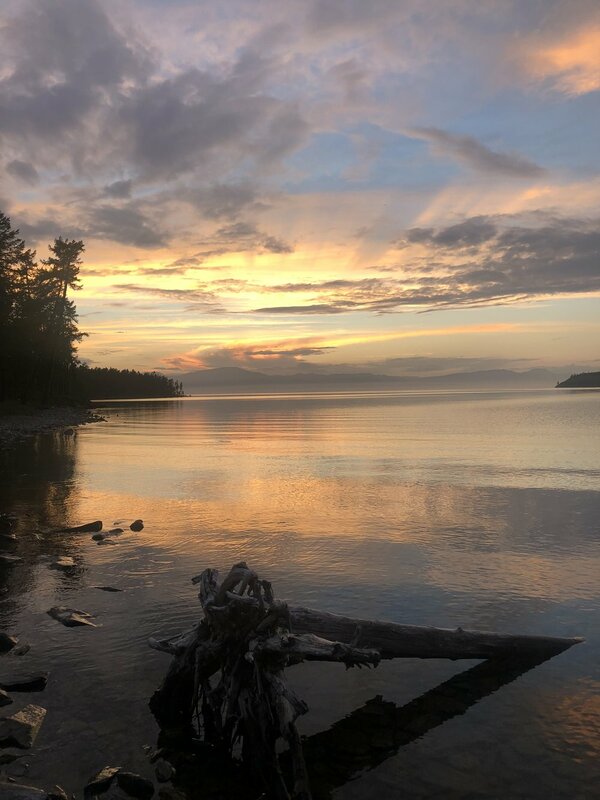 Our team will be welcomingyou at the east shore of the lake. 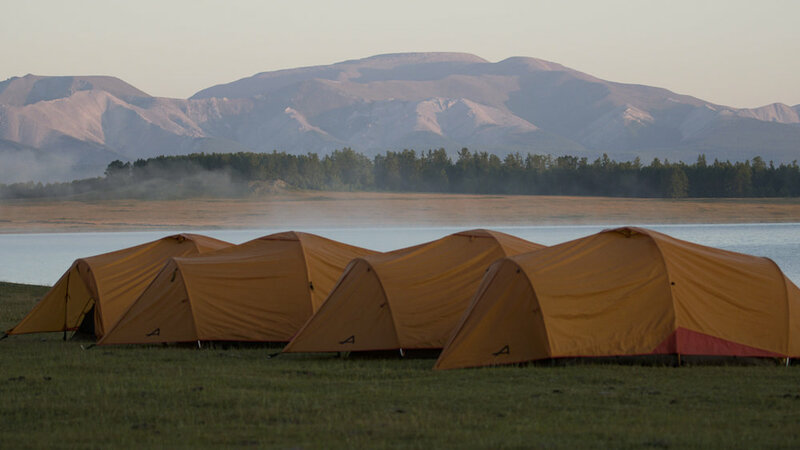 We will now start camping in our own tents, located in a remote part of Khuvsgul, right next to the lake. By the time you arrive everything will be ready and set up. 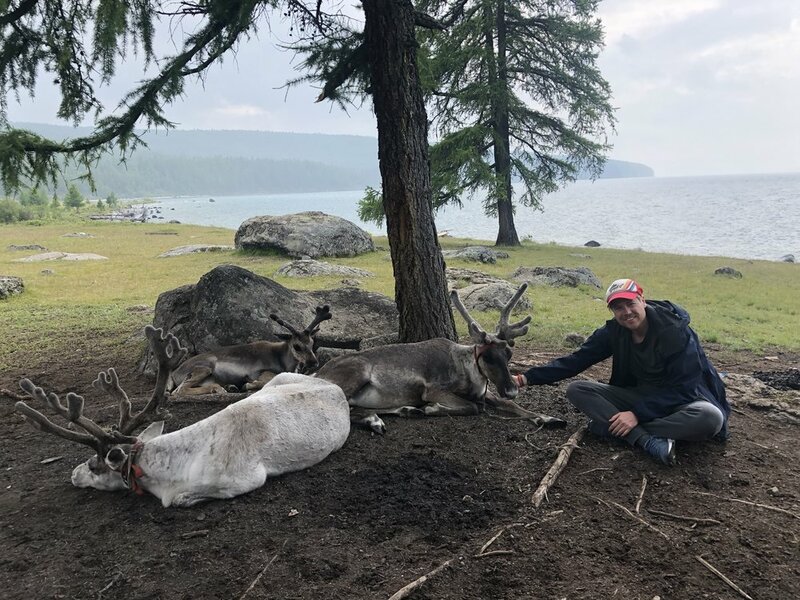 We will relax and enjoy next 2 days by the lake visiting the famous Tsaatan tribe, the only one in the world still riding on rein deers, do some hiking, fishing etc. We can of course do some day trips on the bikes to explore the surrounding area. Time to go back home, as its still a long way to go! We will head to Tarialan province from Hatgal. Sceneries of the nature on the way will surely take your breath away. Erdenet is the second largest city in Mongolia, built by Russians next to one of the biggest copper mining in the world. After 8 days of riding in remoteness, finally you will get back to civilization and have a chance to enjoy the nightlife of Erdenet city. From Erdenet city we have a private bus taking you all the way back to Ulaanbaatar during the morning. You will arrive in Ulaanbaatar city during the afternoon, followed by return of gear and some sightseeing or cashmere shopping if desired. Mongolia is world famous for its high quality cashmere products, our staff will show you the best places to go to. We will have a big good by dinner during the evening, in the city’s best hot pot place. Departure day, we will take you to the aiport. Have a great flight back and we hope to see you again on another trip.